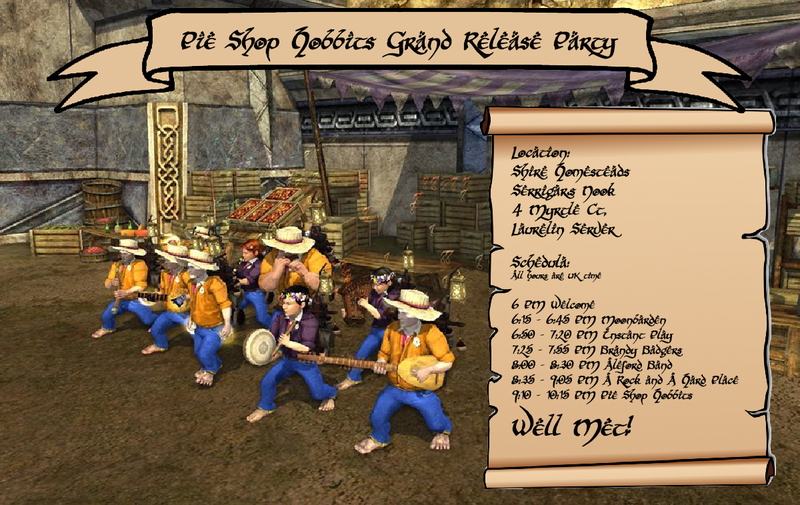 Pie Shop Hobbits Shire Tour is now officially over. However, during our Tour, and to pass time on the road, we produced a pile of songs with lyrics, that we would now like to share with you. Some of them was played on the tour, others are brand new. Furthermore, we are so lucky that a handful of our very favourite bands has agreed to warm up to the concert! In other word - it's going to be a SMASH of an evening, and YOU are invited to be there! We's looking forward ter see as many of yas as possible!